Monday 5/30, 12-2 p.m. and 9-11 p.m.
Monday 7/4, 7 -9 p.m.
Monday 5/30, 10 a.m.-12 p.m. and 5-7 p.m.
Friday 7/1, 4 -6 p.m.
Monday 7/4, 10 a.m.-12 p.m. 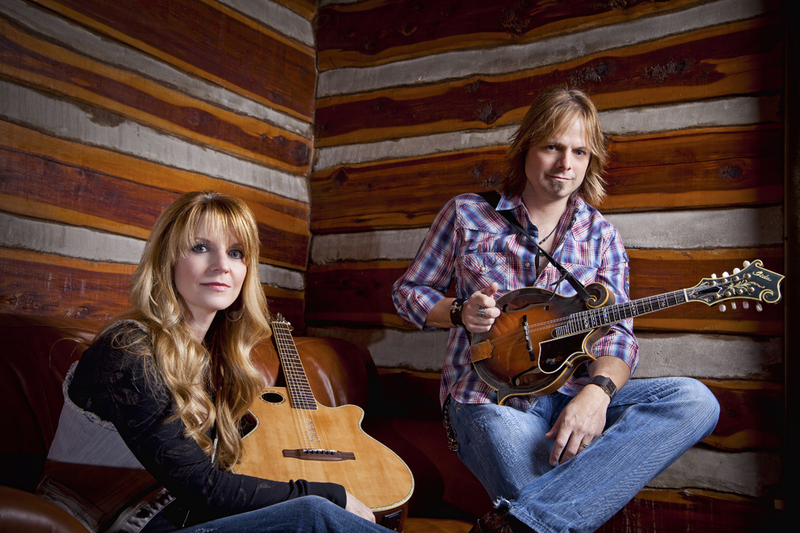 The Roys, whose current Rural Rhythm Records CD, LONESOME WHISTLE, entered the Billboard Bluegrass Album Chart at #7, were happy to donate their time to the worthy cause. "The devastation is overwhelming at first glance," says Elaine Roy. "But when you see so many people coming together to lend a hand, it doesn't seem so insurmountable," she adds. "Southerners are pretty resilient," her brother Lee states. "In spite of all this destruction, people have kept their faith alive and continued to help their friends and families. They are a true inspiration." To "give a little back," the siblings brought along their hot-pickin' band and performed two songs ("Give A Ride To The Devil"and "High Road)" from their new disc. The Roys continue to enjoy the glow of the media spotlight, and recent appearances include several shows on the Fox Television Network, Better TV, ABC-TV's What's The Buzz, Daytime, GAC-TV, Praise The Lord, RFD-TV's Larry's Country Diner, Inside Music Row and Daily Buzz. Fans can watch The Roys' newest video, "Coal Minin' Man," view a detailed itinerary and enter to win an iPod Nano® (through June 5) at theroysonline.com. Bluegrass lovers can now receive the latest updates on The Roys and all their favorite Bluegrass artists on their mobile devices simply by texting "bluegrass" to 90210. The "Somebody Cares" concept began in Houston in 1981 when a simple business card reading, "Somebody Cares, call 24 hours a day," was distributed by founder Doug Stringer and others as they ministered to the lost on the streets of Houston. From there, Turning Point Ministries International began with Bible studies, evangelism outreaches, and discipleship ministries. Soon, the ministry was taking mission trips, planting churches, and sending out international ministries. In 1994, Somebody Cares Houston was officially formed as the outreach arm of TPMI. The organization has grown since then to encompass outreach efforts across the nation.